Home > Baby Ganz and Kids Collection > Ganz Plush Unicorn Coin Bank 13"
This Plush Unicorn Coin Bank from Ganz is absolutely adorable. This loveable bank is made of pink, white, and multi-colored plush. 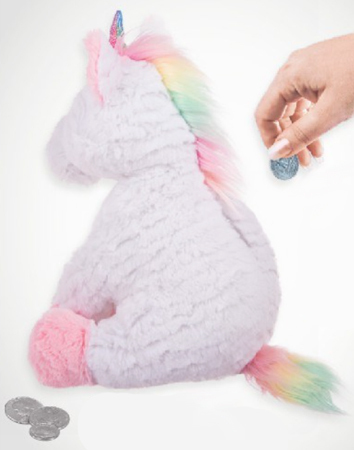 It measures 13 inches measuring from sitting to the top of the unicorn. It will make a wonderful gift and keepsake for children of all ages. 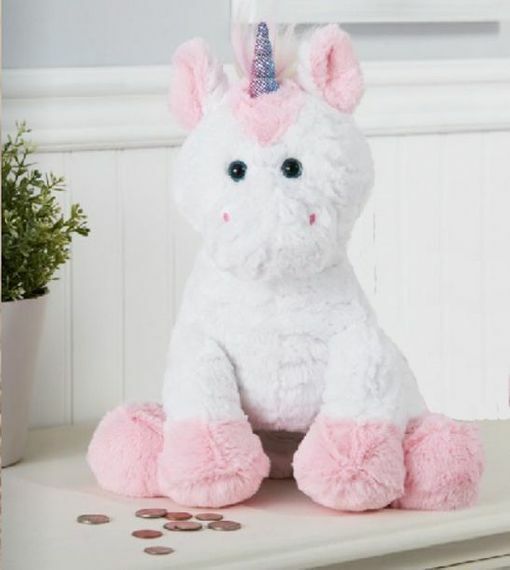 ♥ Size: Measures 13 inches measuring from sitting position to the top of the unicorn.